Begin with this versatile magnified mirror. 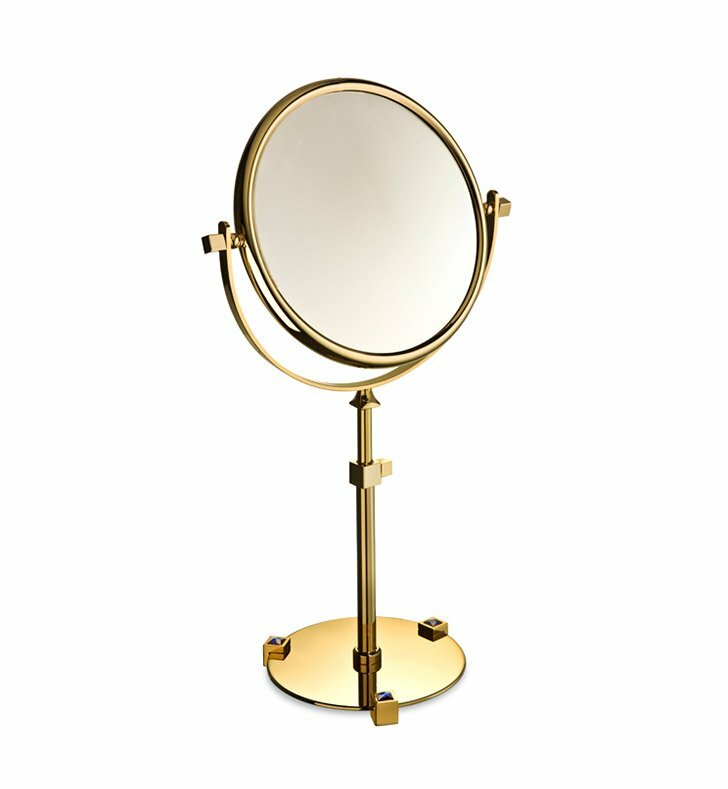 Free standing and available in chrome or gold, this brass optical mirror will fit perfectly into a contemporary & modern master bath. Designed and made by Windisch in Spain. From the Windisch Moon Light collection. Dimensions: W 7 3/8" x H 14 1/2" or W 7 3/8" x H 18 1/2"